Environmental toxins are everywhere today. They harm us in multiple ways, and are implicated in more than 90% of all chronic illnesses. Natural Cellular Defense (NCD) does just one thing : it gets environmental toxins out of our bodies - directly, safely and effectively. NCD works not just over the intestinal tract, as other detox products - it also enters the bloodstream, acting as a toxin magnet, drawing toxins from the furthest reaches of the body. It doesn't just strengthen the body's detox organs - the liver, kidneys etc - as other products. It draws toxins out of every organ of the body, strengthening them all, and relieving them of their toxic burden. How NCD works, you'll see, is simple ; buts its effects are complex. It sets our body systems free to work as they should, so our bodies can do what they're designed to do ; namely, heal themselves. "Possibly the most important supplement ever developed"
To meet the needs of our industrial, technological society, we take great masses of toxic substances from the earth. We process and combine these into new substances, also toxic. At each step - in mining, manufacturing, use and disposal - toxins escape to the environment. They penetrate our soil, our water, our air, our homes and our very bodies. They contribute to our most serious chronic and degenerative illnesses. 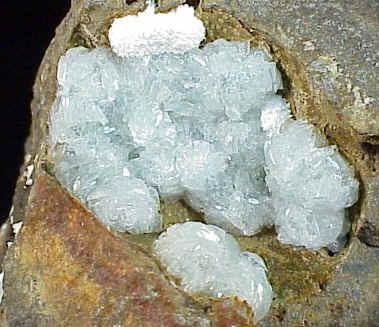 As a magnet for toxic substances, clinoptilolite is unique in the natural world– a kind of needle in a haystack substance, able to absorb some of the worst poisons we know, and remove them safely from the body. The special qualities of this substance, together with a breakthrough method to prepare it, lead some to consider Natural Cellular Defense “possibly the most important supplement ever released”. Waiora’s Natural Cellular Defense may in fact be the best solution to environmental toxins you’ll see in your lifetime. Medical folklore tells that wherever a poison occurs in nature, an antidote is to be found nearby. It's hard to imagine a natural environment more abundant in toxic substances than a volcano – which is where clinoptilolite, the basis for NCD, originates. Clinoptilolite is no more than a mineral from nature – but an extremely special one. 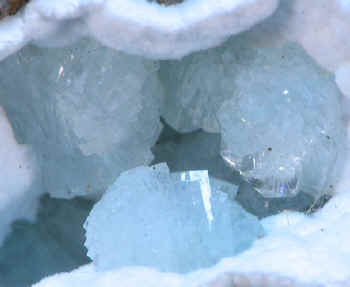 Its strong negative charge, very unusual in a mineral, causes it to attract substances with a strong positive charge. Fortunately, a great many substances harmful to human beings fall into this category. 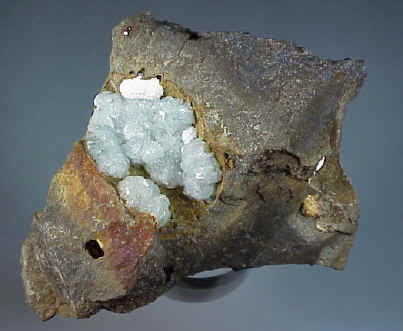 Clinoptilolite forms in volcanic ash that’s been immersed in seawater for long periods of time. The channels in its cage-like, crystalline structure are of a size that readily trap heavy metals, and exclude normal helpful human electrolytes – which, as it happens, are also of lower positive charge. The combination of channel size and electrical attraction give clinoptilolite an unfailing preference for heavy metals over helpful electrolytes – a fact of great benefit to human beings. Clinoptilolite has further interesting mechanisms by which it captures other classes of toxins ; but ongoing testing, now of several years duration, shows no depletion of normal electrolytes. To create NCD, Waiora puts clinoptilolite through two ingenious, high tech processes. Almost every detox product now marketed works in the gastrointestinal tract, absorbing what toxins it can, but unable to penetrate further. To overcome this limitation, clinoptilolite is micronized, broken down into the tiniest of particles, so it can enter the bloodstream and access the most remote parts of the body. Furthermore, the clinoptilolite is activated – emptied of the various toxins it had accumulated in nature. The unique cage-like or “honeycomb” structure also provides a very large absorptive surface area, so that toxins are carried off in maximum quantities. These substances are excreted by way of the kidneys without damage to the body, and again, without taking its normal electrolytes. How important is it to detox ? Let's look at environmental toxins in more detail..
- affect mood and mental functioning, contributing to mental health issues. This is again a very partial list. - affect and harm pets and farm animals just as they do people ! Ignore the problem - or deal with it ? "The best possible care at the earliest possible time"
This thinking holds true, actually, for many areas of life. It seems important therefore, in face of this multi-directional attack of our bodies, that we do something - and the sooner the better. Detox With Natural Cellular Defense !